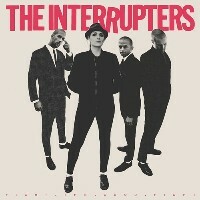 The INTERRUPTERS are an L.A. based four-piece bound by their rebel spirit and deep love of punk, rock, ska and 2 Tone. They make super high-energy rock -n-roll that's equal parts catchy and confrontational. Their third album, Fight The Good Fight, was produced by Rancid's Tim Armstrong and released on his Hellcat imprint for Epitaph Records. The album features front-woman Aimee Interrupter, guitarist Kevin Bivona, bassist Justin Bivone and drummer Jesse Bivona, spitting out lyrics that take on matters as thorny as family, friendship, martial law and loyalty, while churning out bouncing rock-steady rhythms and snarly guitar riffs.